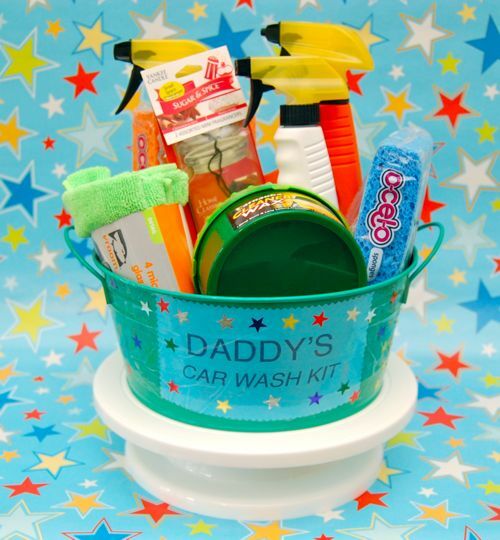 Our girls love to help wash the cars, so for Father’s Day I thought Mark would like to have a special car wash kit to have on-hand to keep all his supplies together in one spot! This way he won’t be wasting time trying to find all the supplies that are “somewhere out there in the garage”, the cars get clean, and the girls get to enjoy some quality time with their Dad! A win-win-win!! 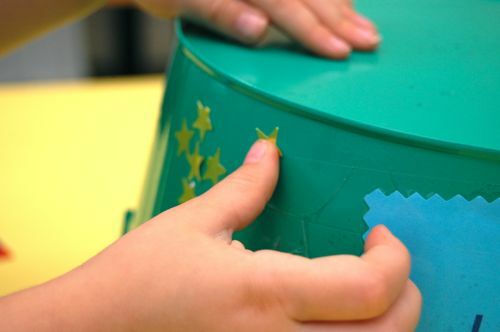 I found a bucket at Target and printed out a “Daddy’s Car Wash Kit” sign to attach with packaging tape. Then I invited Clara over to add some permanent star foil stickers to decorate it!! She’s up for any excuse to play with stickers, so this was a hit! Once she was done, I just pressed down on all the stickers to make sure they were attached well, then I filled it with inexpensive car wash supplies: cleaner, wax, sponges, microfiber cleaning clothes, car air fresheners, etc. Note –The girls never handle the cleaners, but they do love to hose off the cars, and tidy up the inside of the cars too! Clara can’t wait to give it to Mark for Father’s Day!!! A thoughtful, useful, and frugal gift for Dad! In an amazing feat, I read this entire post with my eyes closed and, as such, will be surprised come father’s day. Mark’s comment is funny. I don’t think my husband has ever washed his own car. I love this idea though! I’m thinking this will be great for my father!!!!!!! Thanks. Wonderful idea! I’ll share on Facebook. We got Dad a fire pit. The girls are excited to have fires with Dad in the backyard. 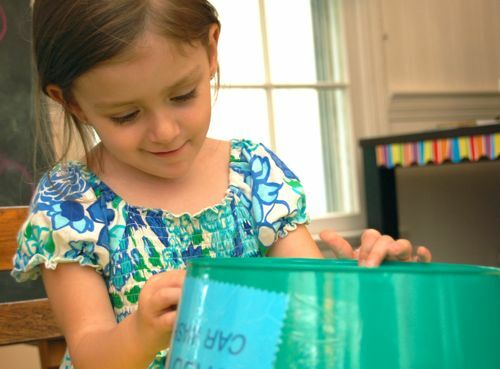 Very cute idea – and so fun for Clara to put together! Its really a awesome idea for father’s day gift. We did that last year and it was a hit! We love to wash our car too. An excuse to splash! Oh yeah! Funny! Our plan this year is to wash the car and clean it out really good for him this weekend. This is super cute, though! What a great idea! Will have to remember it for our Father’s Day in September (Australia). Thank you!